Meeting-Planner-friendly speaker with three goals: connect with people, get them involved in the material, finish up with everyone at a higher level of commitment and energy than when we started. I am passionate about helping the people in your group make the best possible choices about their commitments and obligations. And I'm convinced that with a basic understanding of our own reward-planning system -- the way our brain works - we can make the best use of our time and energy resources. As a clinical neuropsychologist in private practice, I've worked with patients who have conditions that impair their ability to choose and plan and inhibit. And I've observed that, for each of us, those capacities separate the good from the better. The satisfied from the impassioned. I am convinced that our bodies - our neurology - carry a Happiness Blueprint unique to each of us. And when we are managing our time and energy with that Blueprint in mind, we are at the very center of our purpose. We are unstoppable. I teach professional continuing education workshops around the country and offer workshops and trainings to professionals and laypeople, to groups of all sizes. Get in touch with me to see how I can support your group's highest and best vision of themselves. "Again my thanks for the presentation to our staff this weekend. It was among the finest teaching experiences I have had the pleasure of attending during my long career." "You demonstrated the most inclusive patient scenarios I've ever seen, from a cultural perspective. " 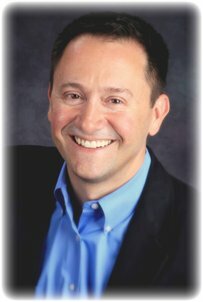 Find out more about David Nowell at http://DrNowell.com.